In stock - low quantity. Order in the next 11 hours, 32 minutes and it will go out today! 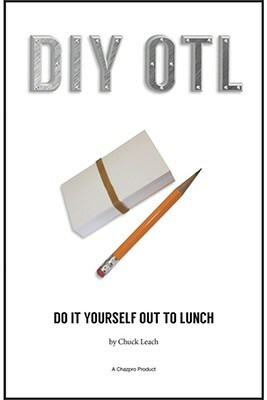 This booklet contains Tips, Ruses & Routines for the Out To Lunch principle. Over a dozen routines that explore new themes for OTL. These themes range from mentalism, to coin and card magic, kid show tricks, 2D objects becoming 3 D and more. All are created with a pencil, this book & cards, & a very minor amount of drawing skills. Also included are two 50 card packs of blank business cards and the proper rubber bands, so you can get started right away! Many creative & off beat OTL themes. Plus lots of handling tips, ruses. Includes all the necessary props (except a pencil) to get started.